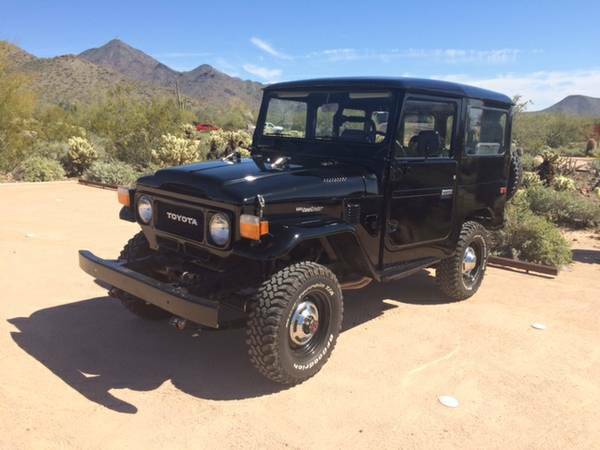 Showing Articles Posted In: "1979"
Toyota Land Cruiser for sale, this a black car based on 1979 Toyota FJ40 Land Cruiser for sale in Scottsdale, Arizona. 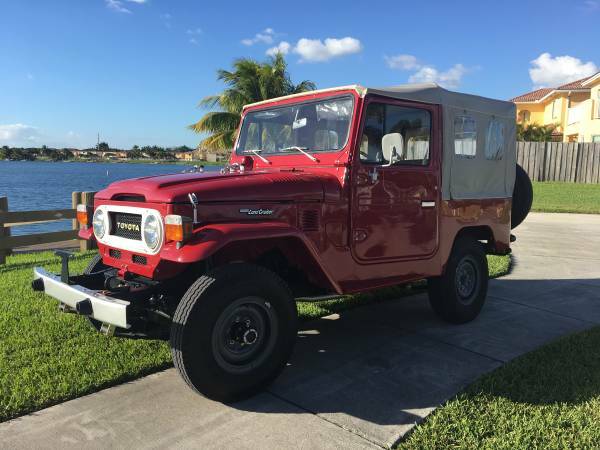 The owner says is runs and drives well, still in excellent condition, always garaged and has been rebuilt engine about 62,000 miles since done. 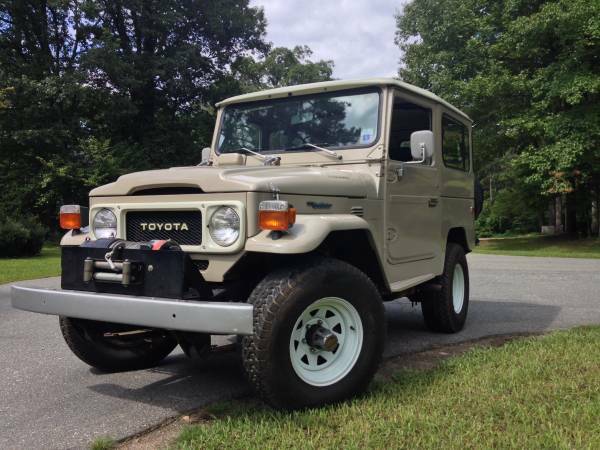 Toyota Land Cruiser for sale, this nice Cruisers for sale in Las Vegas, FJ40 1979 construction year has been restored about 20 years ago by professional Land Cruiser expert in Texas. As shown here this still on perfect condition inside and out, engine good is said runs and drives well has 89,876 miles on it, garaged kept rarely use.